What is HTML Order List? An order list is denoted by <ol>. This will utilize different plans of numbers to list your things. 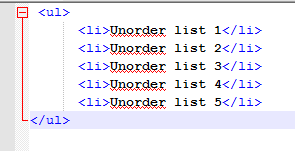 What is HTML Unorder List? An unorder list is denoted by <ul> . This will list things utilizing plain slugs. Hope, you will be helped by this post. For more information, stay with us & give your opinions. For contact Email: tipusultan01611@gmail.com.